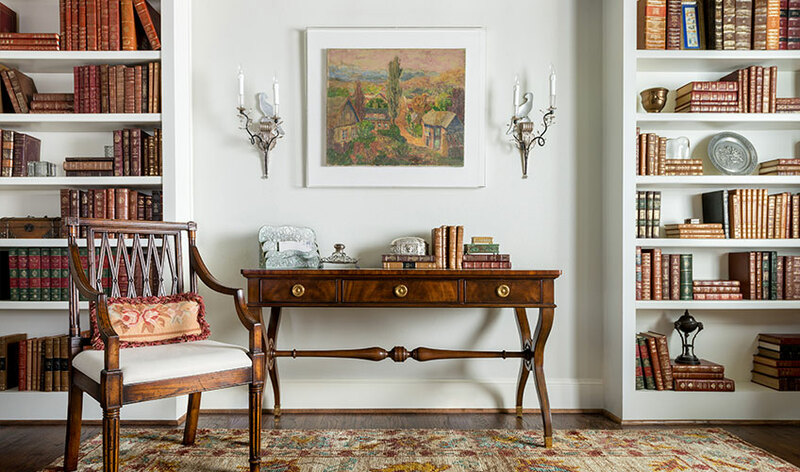 Choosing art to complete your space can be a daunting task, and since most of us aren't artists, decorators, or curators, it can be difficult to know where to begin when looking for that perfect piece. Below are a few simple guidelines to help the simplify the process of making that empty wall into a work of art. 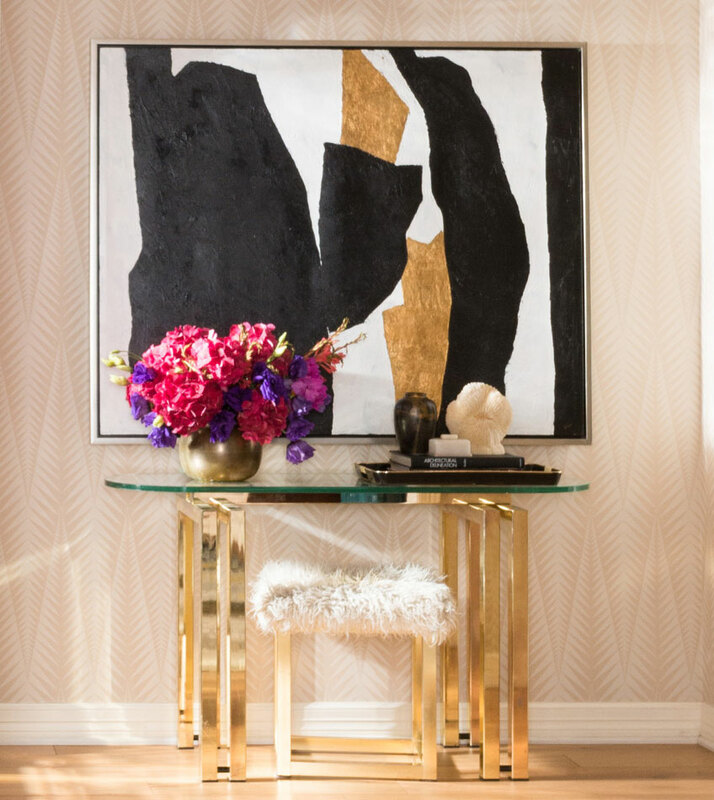 The ideal place for art is on the most visible wall, especially if you are thinking of going with a single statement piece. Art brings feeling to a room, and using the most visible wall will allow the piece you choose to command the most attention. A small painting on a wall off to the side may look nice, but it won't change the feeling of a space. On the other hand, a large painting on a central wall will be a feature piece and is guaranteed to alter the feeling of the entire room. 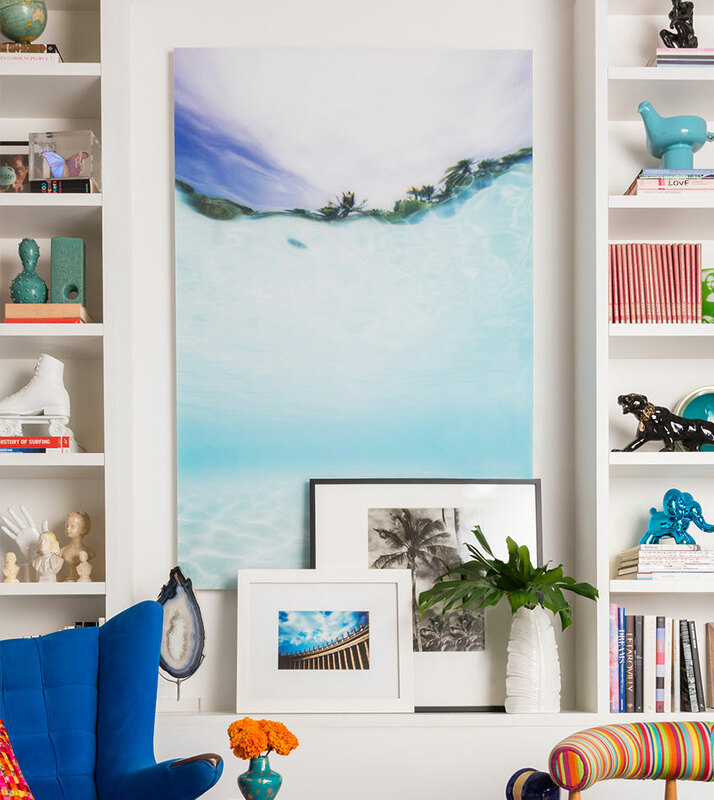 Once you've chosen the wall where you want to hang your art, the next step is to think about size and shape. A good rule to follow here is to mirror the size of your wall. 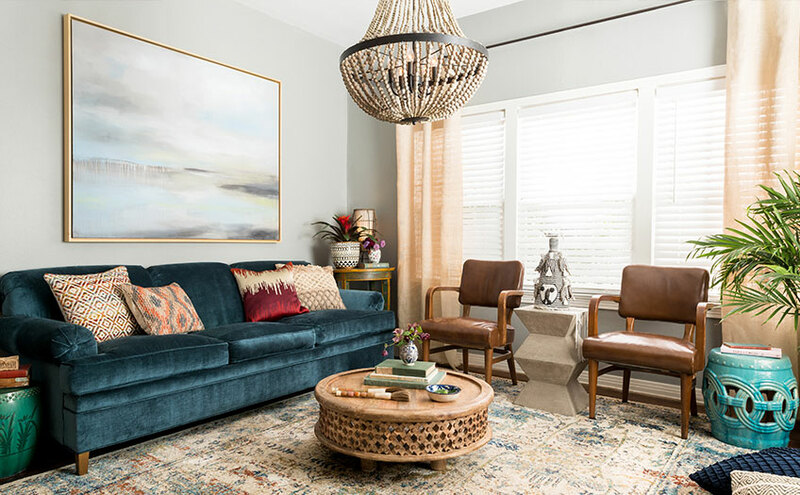 For instance, if your wall is long and horizontal, such as a space above a mantel, in a hallway, or above a sofa, look for a piece that is long and horizontal. A narrow and vertical wall, like those found in foyers, should be home to a narrow and vertical piece of art. Following this guideline makes the room feel larger, and will ensure your art looks natural on the wall. Art can bring life to a room, and you shouldn't be afraid to take it as big as you desire. Some blogs will give you equations on how to calculate the proper size painting based on the height and width of your wall, but before you break out the calculator, remember that making a big and bold statement with a piece you love will make your room come alive. 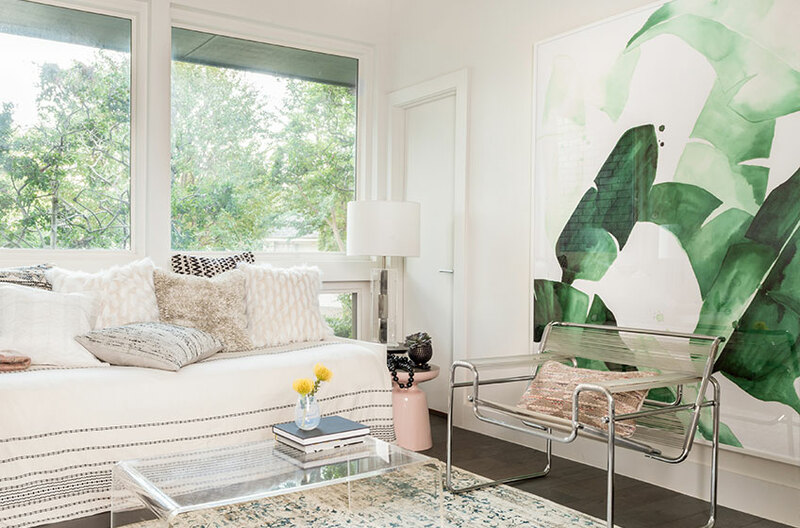 For rooms with minimal furniture art can balance the empty space and make the room feel more full, so make sure to choose a piece large enough to account for the space. Maybe you still aren't sold on buying a huge piece to take over a wall? No problem, there are a few (simple!) mathematical guidelines you can follow when deciding the proper size for your artwork. The dimensions of your art should take up 2/3 to 3/4 of the wall to avoid looking too small for the space. 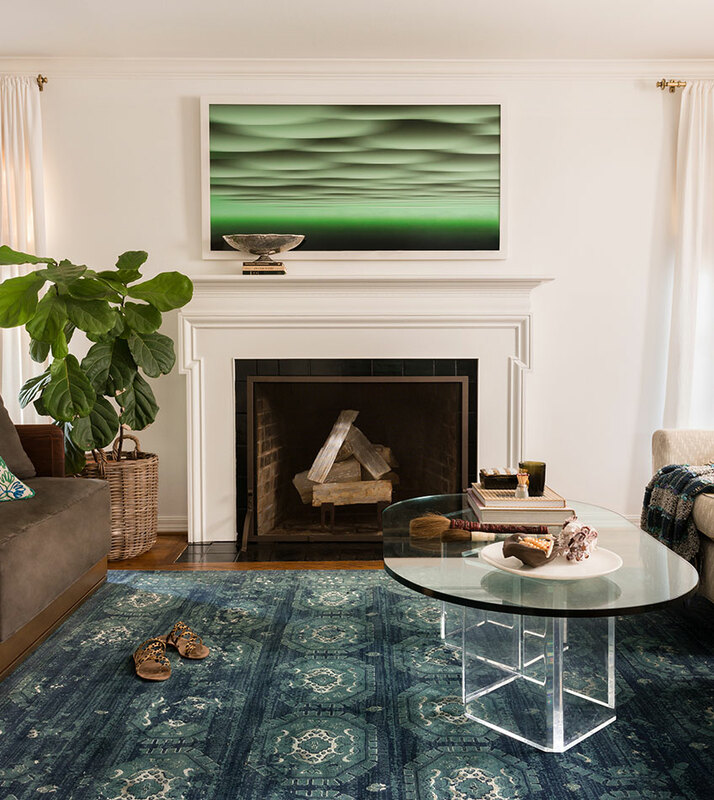 Artwork hung above furniture should generally be 3/4 the width of the furniture and hung 6" to 12" above the top, and artwork hung above a fireplace should be the width of the fireplace opening as opposed to the width of the mantel. Color evokes feeling, making it an incredibly important factor to consider when choosing art for your space. The room's general purpose and the mood you want to impart are the two main players in choosing a color scheme for your artwork. Light blues and greens are serene. These colors lend themselves beautifully to rest and relaxation making them ideal for a bedroom or spa-style bath. Warm tones like reds, oranges, and yellows are very welcoming, and make ideal color schemes for artwork in entryways as guests first walk into your home. Deep and bold color schemes draw you in. They invite conversation and entertainment, making them the perfect addition to rooms where people come together to socialize and enjoy company such as living rooms, dining rooms, and kitchens. Ask yourself when hanging your art, where does the light already hit your wall? Can you aim your lights at your artwork to draw your guests to it? You want your art to be illuminated, because it's meant to be a focal point in the room. If your focal wall is not well lit, you can always consider buying a few new lights to aim at a particularly large painting to illuminate it further. If you are hanging something in a frame, be sure to watch out for glare. It's advisable to avoid walls that are directly across from windows, as they tend to obstruct the view of your artwork with a glare throughout the day. You can also invest in non-reflective museum glass. While a little more expensive, it is well worth the price for a piece of art you truly admire. 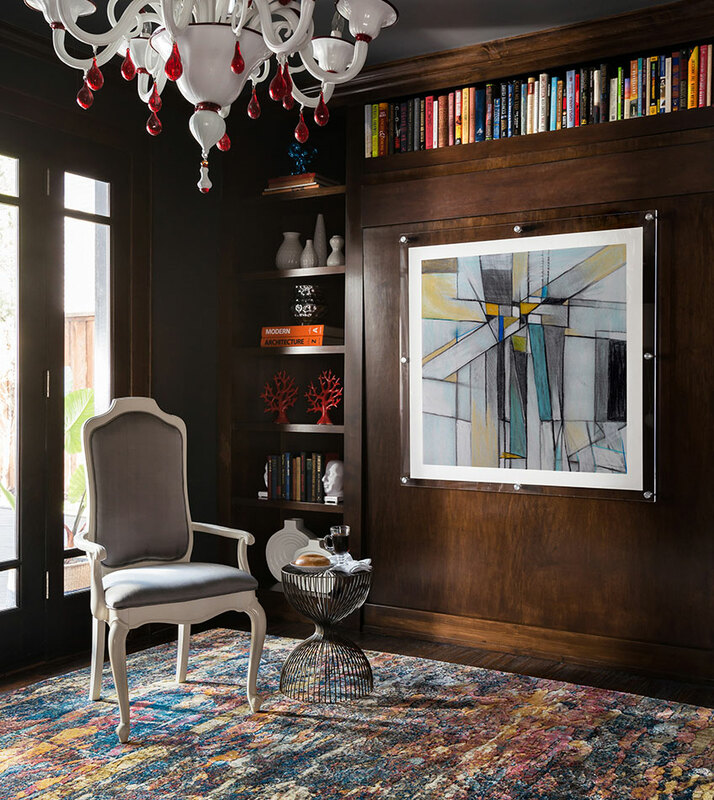 In addition to lighting and glare, be sure to hang your art at eye level, meaning that the center of the artwork is at eye level for the average person (roughly 5'6"). This will avoid your art being hung too high or too low on a wall without a piece of a furniture to anchor it. Above all else when shopping for your artwork, remember that no rules are set in stone. If something speaks to you, buy it! The tips above are designed to help make sense of something that can be tricky when you are first starting out, but there are no wrong choices for your paintings, photographs, or illustrations. Art is about expressing your personality, putting your touch on a space, finding something that you will love looking at every day, and helping to make your house into a home.